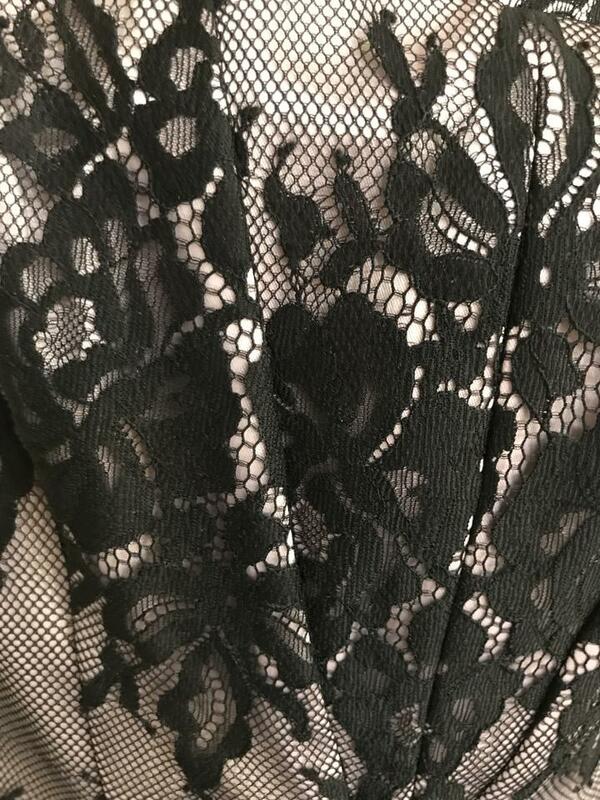 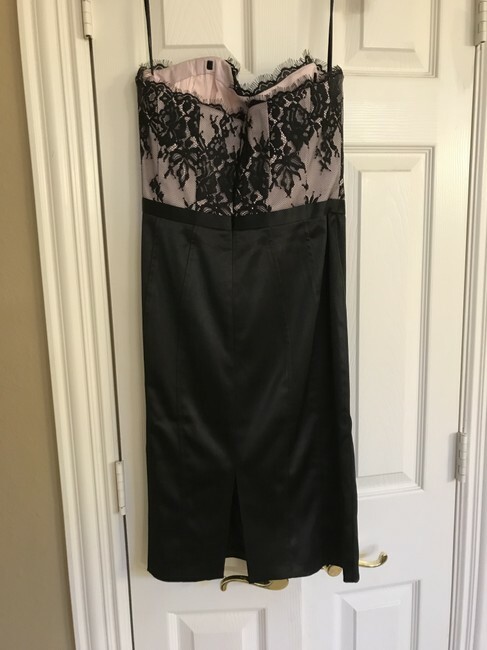 Black dress with pale pink under the lace. 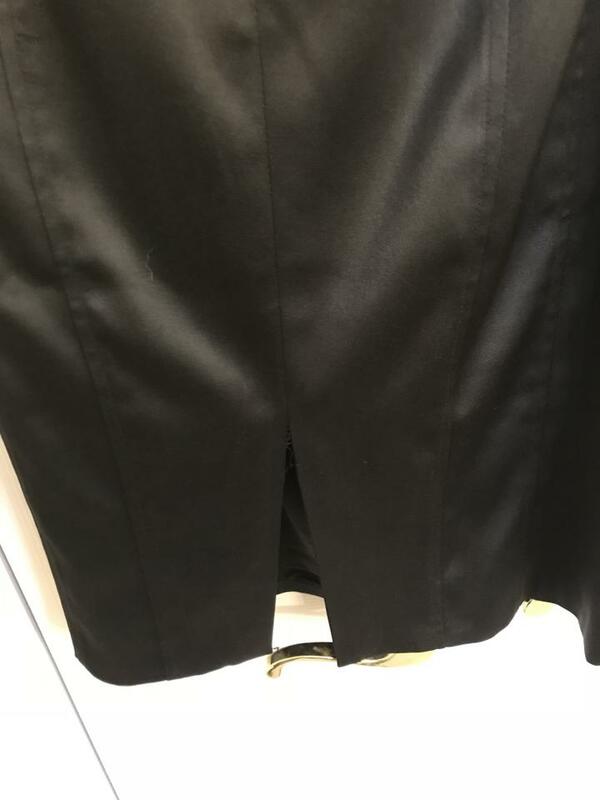 Small slit in the back. Goes great with black heels and some gold jewelery.